I am not sure when I started taking dance at Kelly's - maybe when I was in the fourth grade? I believe Sloan was around kindergarten age then -- maybe even younger! I remember the dance recital where she dressed up like Pocahontas -- I think she could still pull it off, don't you?! Just beautiful! 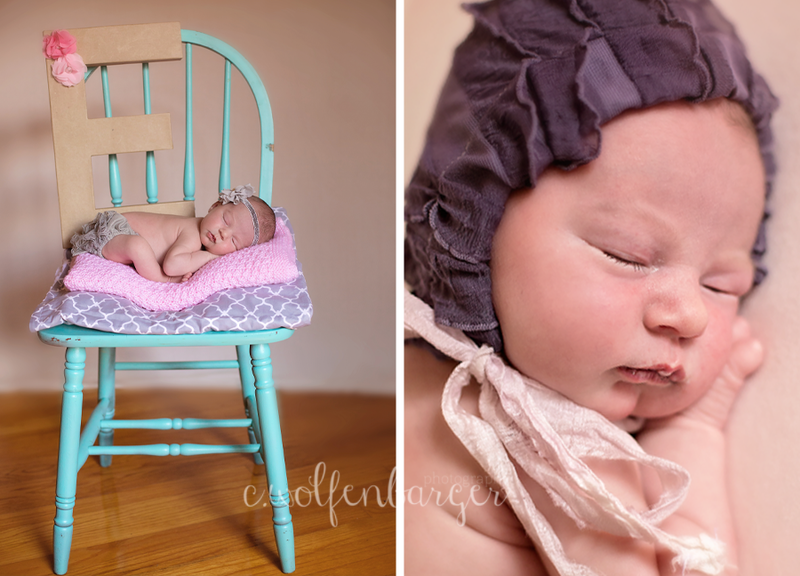 Sloan brought Emery over when she was 6 days old, and let me tell you - she is a natural little mama! I knew Emery was her first baby, but had I not known, I would have never guessed it in a million years -- she was as confident as any second, third or fourth time mom I've ever met! We had a super fun session with lots of props and set ups! We couldn't forget the camo for Emery's dad! Savor this fleeting time, Sloan! 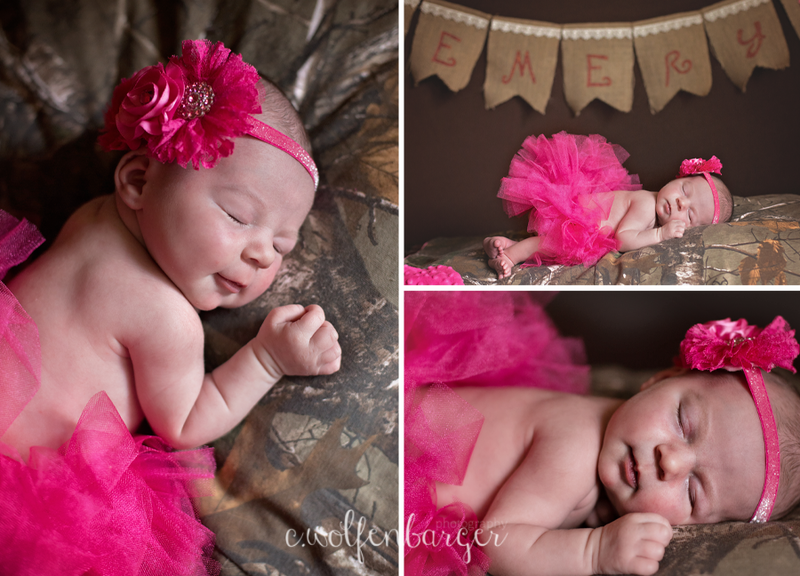 Emery is beautiful!